This machine is the newest weighing style rotary filling and capping machine. 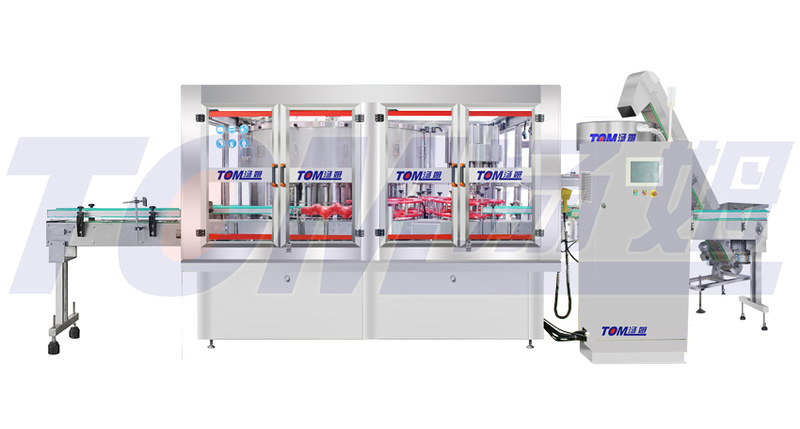 It is characterized by large productivity ,high automatic ,filling control using METTLER TOLEDO brand sensors and lubrication. 1.This machine adopts PLC ,touch screen control panel, convenient to adjust. 2.Each filling head has the weigh and feedback system. Each filling head can be regulated and micro adjusted. 3.The whole machine gets GMP standard. It is easy to disassemble clean and maintain. 4.Capping part adopt location sealing, set the photoelectric sensor in the drum inlet direction, no drum no capping, and capping head has protector.